In many homes, the garage door can make up one-third or more of the entire front facade, so giving serious thought to the aesthetics of this feature makes perfect sense. Well chosen, a garage door can complement the look of your home; poorly chosen, it can be a veritable eyesore. And because garage doors need to be replaced when they grow old or rickety, replacing a garage door becomes an opportunity to dramatically change the look of your home. 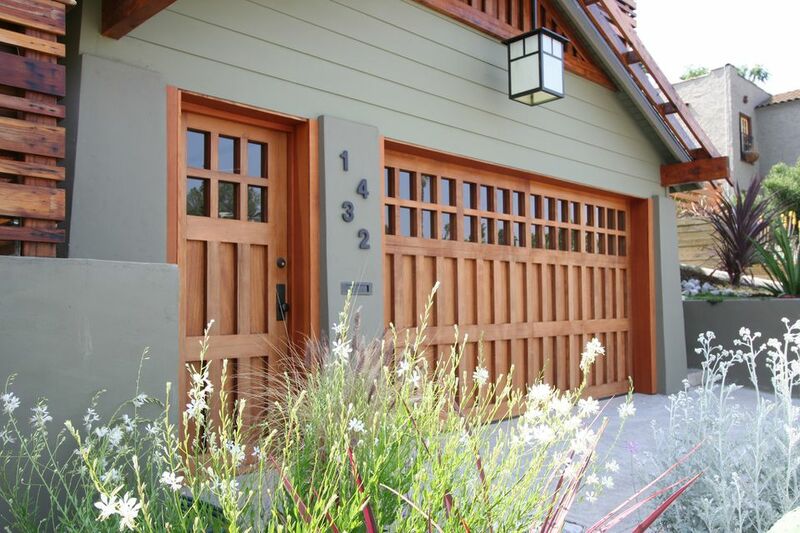 Just as there are many different house styles, there are also a variety of garage door styles. Here is a brief outline of the common garage door styles available from home improvement stores and garage door dealers. Leading manufacturers offer garage door styles that will complement any major, well-recognized American home style (Cape, Colonial, Victorian, Ranch, Craftsman), or European style (French Country, Spanish, Mediterranean, Tudor). Almost all can be special-ordered in a variety of materials and colors, allowing you to closely match the style of your home, whether that means Tudor or Mediterranean. The best availability will be with doors using the now-standard roll-up mechanism, in which horizontal, hinged panels roll up on overhead tracks. 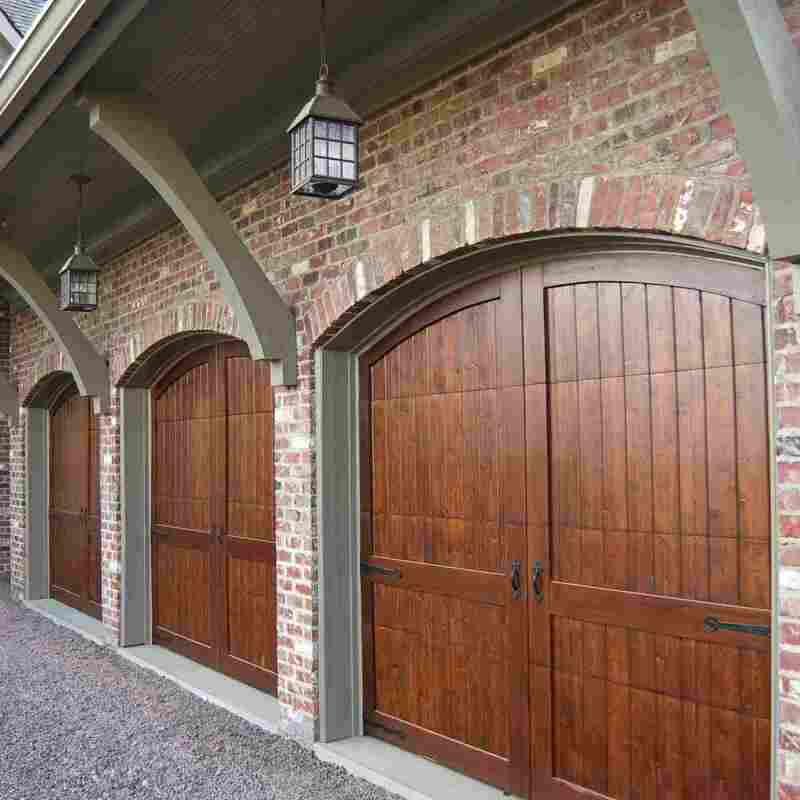 Carriage-style garage doors are very popular choices for a variety of house styles. They generally replicate the look of doors found on old carriage houses, but they are not out of place even on many contemporary homes. Traditional carriage doors swung open manually from the center, but you can find modern carriage door models that fold open with automatic openers while still offering the charm of traditional swing doors. In the photo shown here, each door opening has a pair of carriage doors. One of the most common garage door styles is the raised panel. Raised-panel garage doors have really become the standard, the style most people think of when they think of garage doors. The original raised panel doors featured floating panels that fit inside a rail-and-style frame, but in the modern version – such as the very common fiberglass type – the door panels are often solid and are merely designed to resemble the classic raised-panel door. The popularity of this look ensures that you can find raised-panel doors in all materials, including wood, fiberglass, aluminum or steel; and with a full list of garage door options from which to choose. Matching house styles with garage door styles is perhaps never more important than with contemporary designs. A modern house design that features clean lines and high-tech materials should include a similar type of garage door. Doors with tempered glass panels (clear, frosted or tinted) encased in painted aluminum frames are one popular choice. Also returning to popularity in some retro-modern home designs are slab doors, in which the door opens by folding up as one single panel, rather than as three or four separate horizontal panels that bend at hinges as the door raises. Like carriage doors, slab doors require a specialized automatic opener.